When the United States entered into war against Japan and Germany, it was probably the most unified and patriotic effort in the history of this country. However, when the history of this war was written, it was unfortunate the contributions by a small group of Mexican pilots were somehow omitted or just briefly recorded in the annals of the war. Recently, this forgotten story has been researched and brought to light for all to read and know. Cuando Los Estado Unidos entro en la Segunda Guerra Mundial contra Japon y Alemania.Fue sin duda el mayor esfuerzo patriotico en la historia de Los Estados Unidos.Sin enbargo,cuando la historia estaba siendo escrita,infortunadamente la contribución aunque pequeña pero significativa de un grupo de aviadores Mexicanos fue poco mencionada ó solo paso a ser parte de un archivo de ese tiempo.Recientemente,esta historia un tanto olvidada a vuelto a salir a la luz publica para dar credito a estos valientes Mexicanos. Why Did Mexico Enter the War? 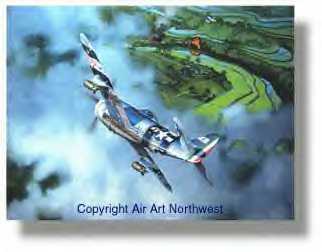 In 1944 the Mexican Air Force was offered an opportunity to fight in World War II along side the United States. Mexico formed the "Fuerza Aerea Expedicionaria Mexicana", a three hundred man Air Force Squadron, known as Squadron 201. The members of the 201st Mexican Fighter Squadron became the only veterans of foreign wars in the history of Mexico. In May 1942, Nazi submarines sank two Mexican tankers, and Mexico declared war against the Axis powers. Soon thereafter, President Manuel Avila Camacho offered, unofficially, to send Mexican troops to join with the United States in their war effort. 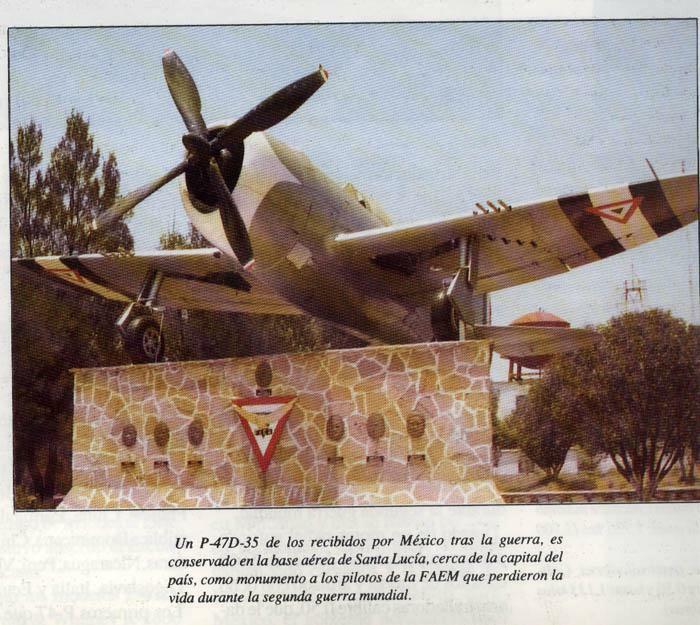 The United States responded to his proposal in the spring of 1944 and Roosevelt offered the Mexican Air Force an opportunity to fight in the war with the United States. 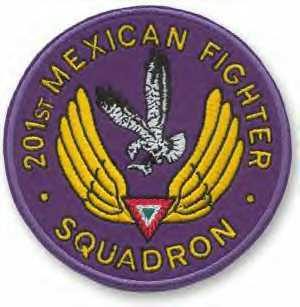 That spring, Mexico formed the "Fuerza Aerea Expedicionaria Mexicana", a three hundred man Air Force Squadron, know as Squadron 201. Squadron 201 flew fifty-nine combat missions from Porac and Clark Fields on the island of Luzon against Japanese positions until the war ended in August 1945. Five 201 pilots died in the Philippines. One was shot down by enemy anti-aircraft fire; one died in a crash, and three ran out of fuel, crashed and died at sea after being lost in bad weather. Returning home to Mexico on November 18, 1945, President Avila Camacho and a proud nation gave Squadron 201 a tumultuous welcome. Thirteen days later, Camacho terminated and mustered out the "Fuerza Aerea Expedicionaria Mexicana". No other Latin American, except Brazil, stood with the Allied Nations whose citizens gave their lives for the cause of liberty. Members of Squadron 201 are the only veterans of foreign wars in the history of Mexico. La mayoria de Fotografias y informacion vistas en este Web-site fueron obtenidas atra vez del Internet y revistas de Aviación,No se intenta negociar y obtener ningun tipo de compensación por ningun motivo.Mucho menos tomar el credito de los verdaderos historiadores que han buscado atravez de los años tanta informacion veridica y una gran varidad de fotografias.Este Site fue creado solo dar a conocer el Escuadron Virtual 201 FAEM en Aces High .Para saber mas sobre el Escuadron 201 Fuerza Aerea Expedicionaria Mexican.Por favor visite los web-sites enlistados en la pagina de Links. Most of the pictures and information seen here,were obtained though the internet and aviation magazines.we do not seek for any monetary help nor taking credit of those who worked hard to find truthful ,reliable information and many great pictures about the Mexican fighter Squadron 201.The only purpose of this web-site is to let people know about the online Squadron 201,flying at ACES HIGH.If you want to know more about the only Mexican Squadron that went to WW2.please visit the links help.